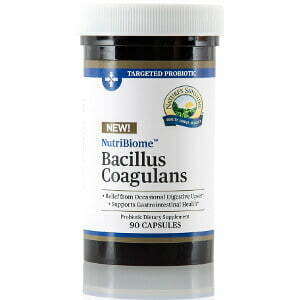 Nature’s Sunshine NutriBiome Bacillus Coagulans promotes gastrointestinal health, provides immune system support, and encourages healthy detoxification processes. 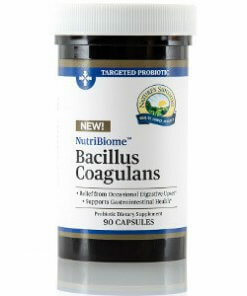 Bacillus coagulans, a heat-stable, friendly probiotic, withstands the acidic environment of the stomach and regulates the microbiome. It may alleviate occasional digestive discomfort.